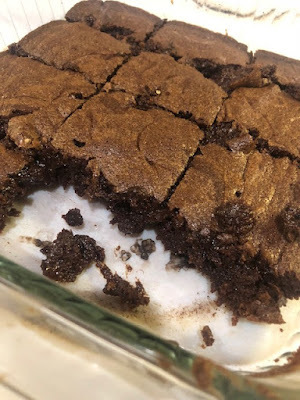 My Charmed Cabin Life: The BEST Fudgey Brownies! So, take a break from Keto for a moment...if you dare. I decided I needed brownies. It was a rough day. You know what I mean...when you're at your mom breaking point...and desperately need chocolate. Red and blue lights flashing....emergency sirens...EMERGENCY chocolate! I found this website called Cafe Delites...Here is the specific link to the brownies: https://cafedelites.com/best-fudgy-cocoa-brownies/. 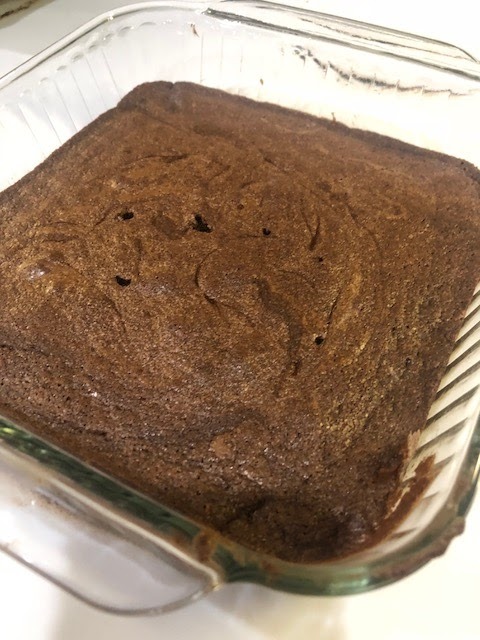 If you haven't checked out thsi super easy homemade from scratch recipe of choclate goodness (AKA brownies), then you are missing out. I didn't pay attention to which rack in the oven to put the pan on to bake and I'm pretty sure, that if I had, my brownies would have looked just as good as #cafedelites!